I use a free hosting which does not allow uploading the folder with menu files to my site. Is there a way to add my menu to the site? 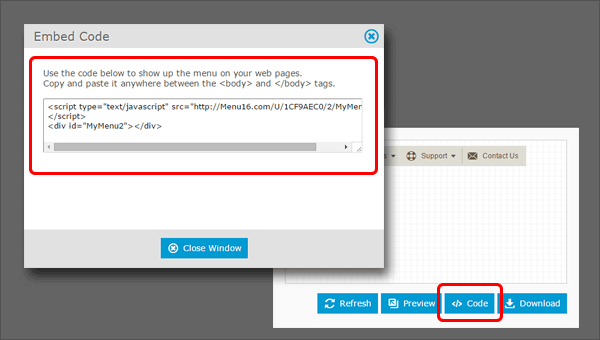 You can store your menu in our server and use copy-paste Embed Code to display it directly on your web pages. Any modification made to the menu in Menu Generator will be immediately reflected in the menu on your site.